16" overall. 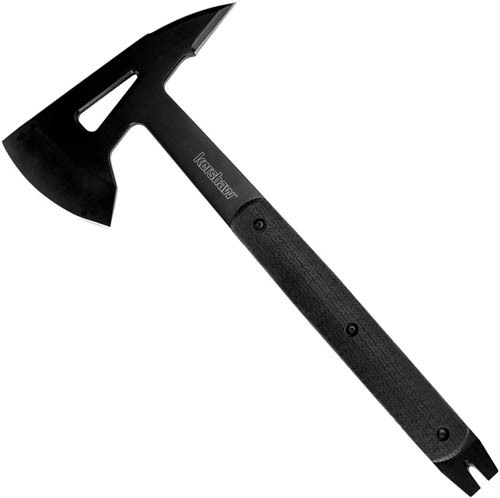 4" black oxide coated 3Cr13 stainless hatchet head with spike, nail puller, and pry bar. Full tang. Black rubberized grips with K-texture grip. Black nylon belt sheath. Hang packaged.